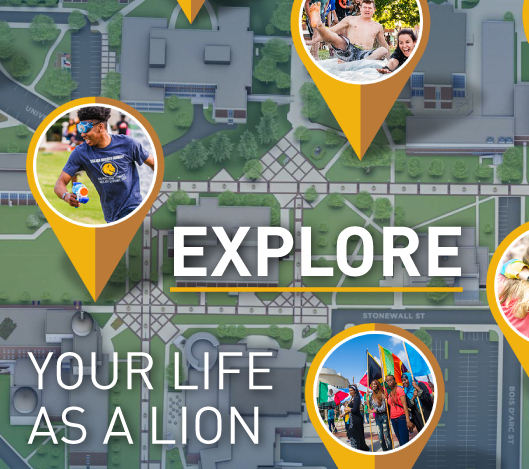 At Texas A&M University-Commerce, you will choose from more than 100 academic programs to earn a relevant degree supplying the skills and knowledge employers seek. You’ll receive a high-quality education in a comfortable, friendly environment where faculty and staff are focused on understanding your goals. It’s our goal to help you succeed. Imagine developing close, personal friendships with world-class professors. They’ll know your name and even give you their phone numbers because they want to make sure you’re successful. You’ll build confidence as your voice gets heard in small classes averaging only 26 students. Our active campus life will put you in touch with lifelong friends. We offer more than a solid education; we support you every step of the way so you leave well prepared to compete with confidence in the marketplace. Find out firsthand about the high-quality academics at Texas A&M University-Commerce when you visit campus.